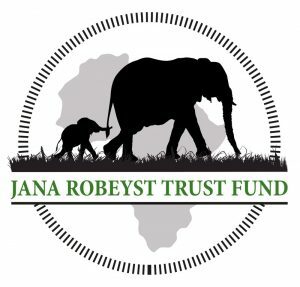 The Jana Robeyst Trust Fund (JRTF) makes grants to support conservation research in Sub-Saharan Africa. The Trust was established in 2016 by the family of Jana Robeyst, who was a young wildlife researcher in West Africa. African Conservation. JRTF provides financial resources for field conservation research in Sub-Saharan Africa. Projects must have a clear conservation value. Preference is given to projects related to elephants. Eligible expenses include research support; educational activities; travel costs for presentation at conferences; participation in workshops/training; and purchase of essential field equipment. Grants are a maximum of €1,500. APPLICATION: Applicants should be affiliated with universities, research institutes, or non-profit organizations. Applications can be submitted in English or French. There are no restrictions by nationality or residence of applicants. JRTF accepts applications on a continuous basis, and makes three rounds of grants per year. The JRTF website is available in English, French, and Dutch. JRTF posts a biography of Jana Robeyst, and a list of funded projects. The Trust provides contact information.